Saturday morning began early as the local baker arrived in the aire with a siren which out did my air horn ten fold. We opted not to run out and join the queue as I was sure it was still the middle of the night. As we had arrived in the dark and fog we hadn’t seen the lake up till then and we were quite surprised how far it actually was away, nice view though. 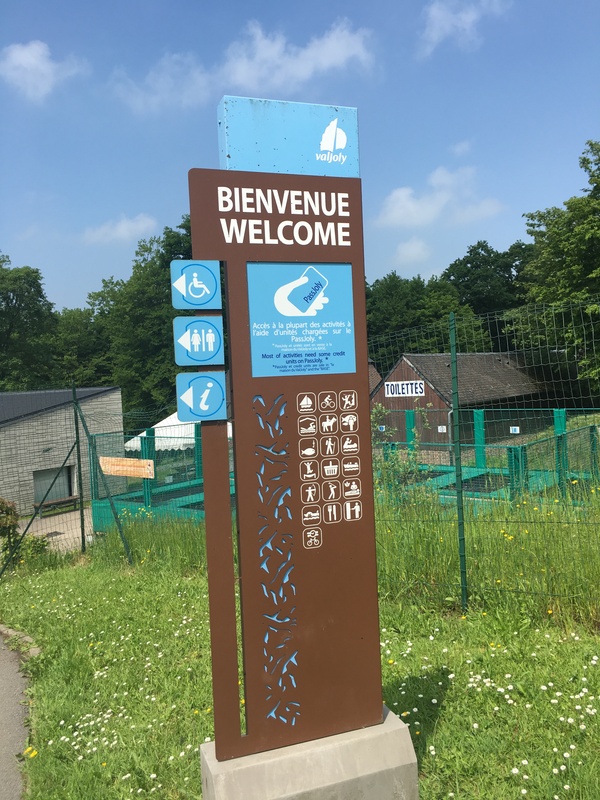 We took the short walk to the holiday village centre to see if more happened during the daytime rather than the ghost village we experience the night before and it was slightly more lively but not quite the hustle and bustle we were hoping for. We decided to go to the aquarium rather than the sterile looking swimming pool and we purchased our tickets excitedly only to lead to disappointment! The aquarium turned out to be a large room of fish tanks and took approximately 8 minutes to walk round the whole place. Most of the fish actually came from the lake we were parked next to, this has put us off swimming in these lakes in future. 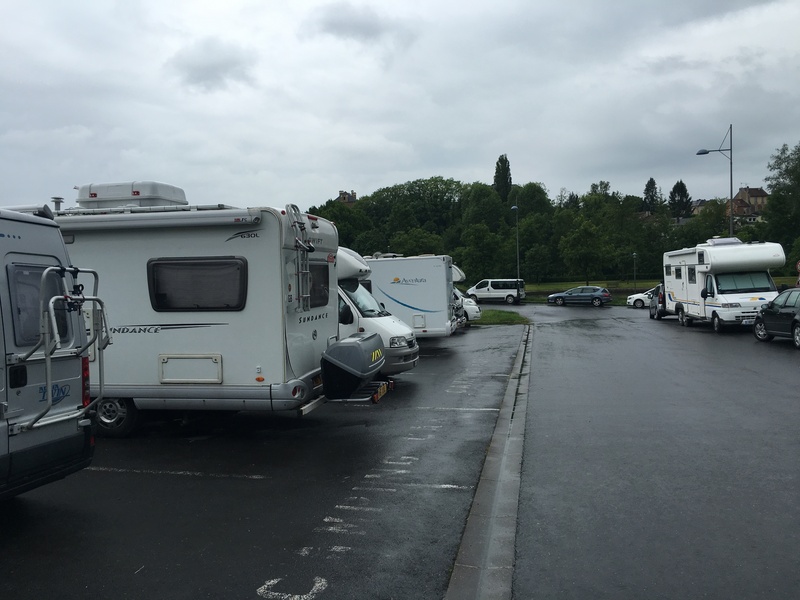 We had planned to stay for two nights at Valjoly but one was enough so we moved on not sure where we would stop but we drove towards Belgium. 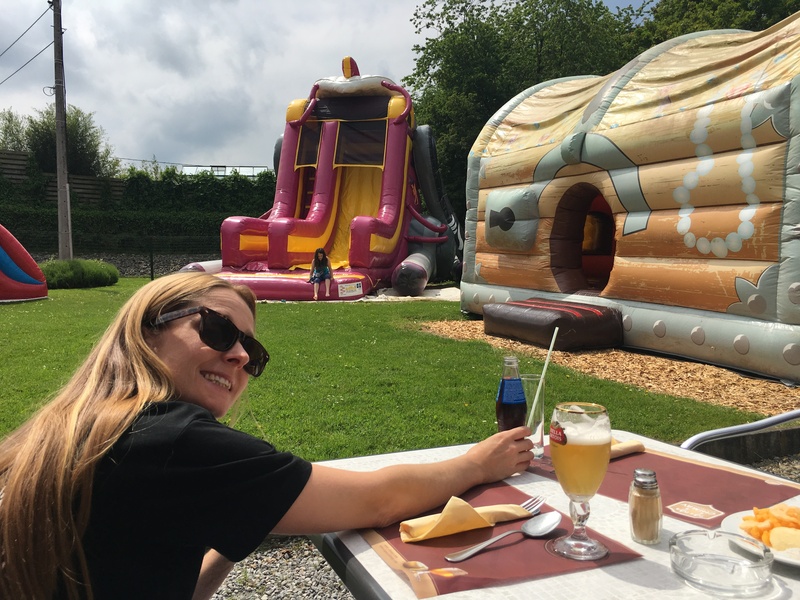 A lucky spot of a brassiere with giant inflatables near Chimay saw us stop for a lovely lunch, the sun was shining and the food was good. Lucy really enjoyed the bouncy castle and slides and even made some Belgium friends. 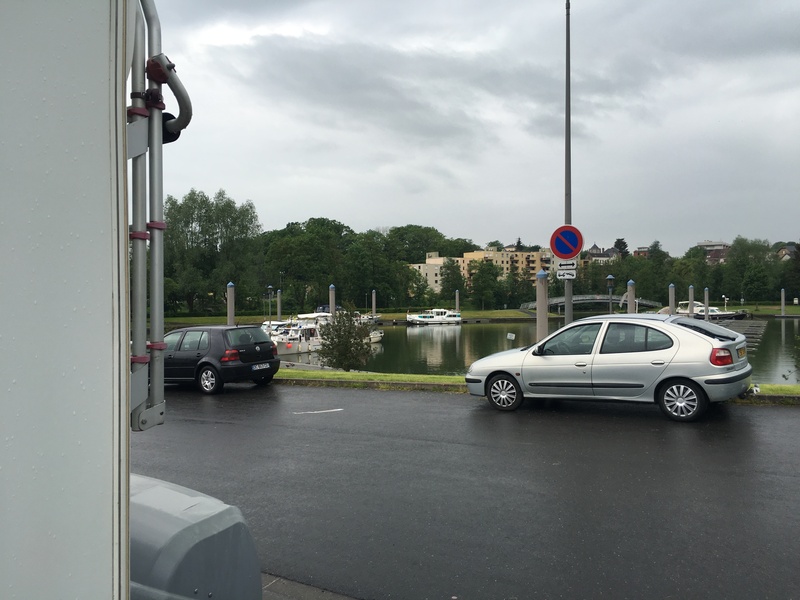 We picked an aire in a marina in Charleville-Mezieres, this was free parking again and right in the centre of town. As we approached the aire a very sharp corner lead to a single track road and displayed a 3.4M height restriction, we decided to drive by and have a think about it. 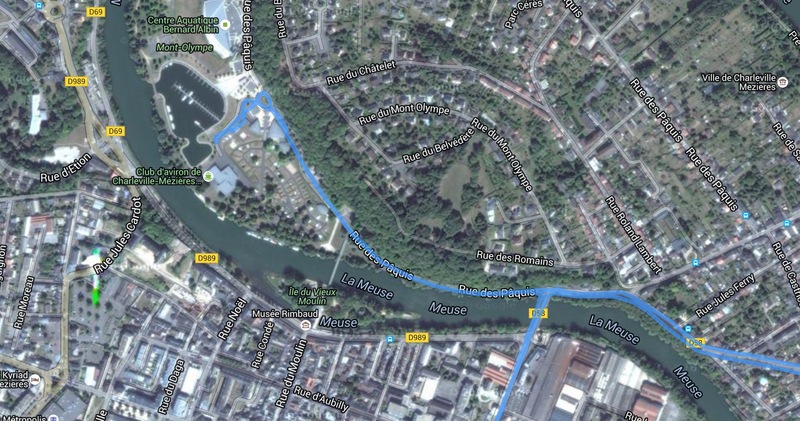 After studying the maps and approaching from a different angle we went for it holding our breaths, luckily for us nothing came the other direction and we cleared the foot bridge with cms to spare. After a dog walk around the river we sat out for a beer in the sunshine where we were joined by a fellow British Motorhomer who wanted to tell us his life story. We listened politely for a while, even offered him a beer and then made our apologies and said we were going out for dinner. We managed to avoid him for the rest of the stay. We enjoyed a lovely Italian meal in the town and managed to avoid getting drowned in the thunder storms.